Cleaning, polishing and restoring brass door knobs can add sparkle and a touch of class to a home. How you approach the project depends what kind of brass you have, how badly tarnished or degraded it is, and whether it is solid or plated. Brass is an alloy of copper and zinc, with tin or aluminum added to some types for corrosion and tarnish resistance. 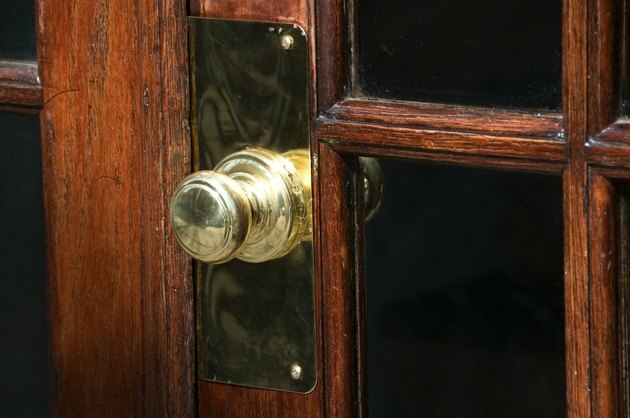 Cleaning and polishing brass door knobs and hardware is an excellent do-it-yourself project, but re-plating is best left to professional restorers. Restoring brass doorknobs is a quick way to add a touch of class to a home. 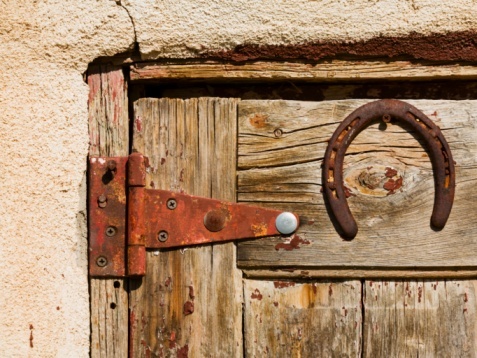 Use a reasonably strong magnet to determine whether your doorknobs are solid or plated brass. A magnet is attracted to metal, like steel or zinc, underneath plating but will not stick to brass alloys. Remove lacquer if the brass has been sprayed with a protective finish. Denatured alcohol, paint stripper or even nail polish remover are possible choices. Use as sparingly as possible. Scour the doorknob to remove the surface layer of built-up grime, corrosion and tarnish. Use a lacquer thinner or a mixture of vinegar and salt, scour with 0000 steel wool (the finest available) on solid brass but very carefully on plated surfaces. An old soft t-shirt is a better choice for thin, brass-plated surfaces. Soak heavily tarnished brass with ammonia. Ammonia is caustic and can pit or degrade brass if you leave it on too long so watch the chemical reaction carefully. Neutralize with a spray of diluted vinegar to stop the process. Apply a thin layer of commercial brass cleaner or polish and allow to dry. Cleaners or polishes come in both caustic and acidic formulas and you may have to experiment with what works best for your situation. Generally, acidic formulas react just with the tarnished brass whereas caustic ones react with the brass itself. Buff with a soft cloth to remove all polish and repeat process until the brass shines and all of the tarnish is removed. Send badly tarnished, degraded or eroded brass plate to a commercial door hardware restorer and re-plater. These companies have abrasive blasters, polishing wheels and compounds, and re-plating equipment.